Iran is demanding that the United States Senate be denied access to its agreement with the IAEA... just like the Obama administration. Iran's Envoy to the International Atomic Energy Agency Reza Najafi objected to the US Senate's demand for being briefed about the contents of the recently signed roadmap of cooperation between Tehran and the IAEA, warning the UN nuclear watchdog to avoid disclosing its secret agreements with Tehran. "The agreements signed between a member country and the IAEA are definitely secret and cannot be presented to any other country at all," Najafi said in an interview with the Iranian students news agency on Saturday. Referring to the discussions at the US Congress during which the US officials elaborated on the nuclear agreement between Iran and the Group 5+1 (the US, Russia, China, Britain and France plus Germany), he said, "The discussions revealed that the secret texts between Iran and the Agency have not even been provided to the US administration." "For the very same reason, they cannot be presented to the Senate members either," Najafi added. Elsewhere in an interview with another Iranian news agency, the envoy said Tehran has already warned the IAEA chief against the repercussions of a disclosure of its agreement with the UN nuclear watchdog agency. 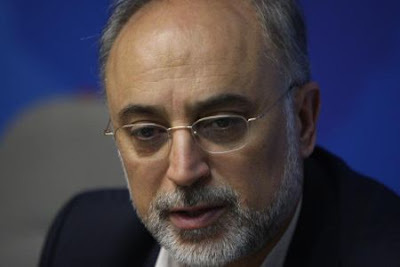 "Iran has clarified it to Amano that the text of its understanding with the IAEA cannot be presented to the Senate," Najafi reiterated. He further warned that "the Agency knows what it means to disclose a secret document". This is worse than Obamacare. The Congress was told it could read about Obamacare once they signed the bill. This time, they cannot even do that. Would that be this Hillary Clinton email?